I REALLY don’t like this new search function. I do a lot of Rev War research and it is almost impossible to search the war records now. The old footnote let you search by state and then by unit. Pensions were searchable by state, then by name. I don’t like the new way at all. It is VERY cumbersome. Especially since there are so many states who have veterans with the same name. It will take huge amounts of time to get to your veteran. Not a good use of time. So, ancestry, go back to the old search functions for your war veterans. PLEASE. The same for pensioners. Can you image how long it would take to find John Smith’s war record or pension? When you really want John Smith who served in a Virginia Continental Line Regiment? I feel like you guys have taken seven steps back. A name change is ok as long as you leave the rest of the site alone. You don’t fix what isn’t broken. And now you’ve fixed it so that it IS broken. So, really, Ancestry you haven’t just changed the name. You’ve changed the site as well and made it much more difficult to use. I really can’t comment on the changes as I have not been able to access the ste since the name change. I noticed someone else was having the same issue. Any ideas why some are getting the “Internet Explorer Cannot Display Webpage” message? My memory often fails me, but I thought I remembered that Footnote started as a partnership with the National Archives and the emphasis would be on those records. No one asked me, but I thought the most needed contribution would be to digitize and offer the Civil War Pension applications and the Naturalization records, neither of which was available in digital form elsewhere. Three years later and still no one has asked me… but I offer my opinion anyway. I hope the emphasis on military records will include the invalid pensions as well as the widow’s and I am very disappointed that you won’t finish the naturalizations . I am having the same problem as the writer of this message. When are we going to be able to access the website again?! One of the reasons I subscribed to Footnote.com years ago was the ability it gave me to connect the *stuff* in my files to records in published collections. Over the years, I have uploaded historic photos and letters that I have scanned from my own collections, tagged them with locations and names, and connected them to census records, passport applications, naturalization and military records available on Footnote.com. I can see that I’ll need a new strategy for sharing those documents, none of which are military records. I don’t care for the name, and think shifting an entire website’s focus to just one type of records doesn’t bode well for the “Other Collections.” For what it’s worth, I just changed my account settings so that my subscription will not renew when it runs out. What on earth? I was asked recently to resubscribe to footnote.com, and I did, because it has been useful to me. The first I saw about this change of emphasis to military records was Aug 19 when I logged into the site to do a query. Nothing was there about it August 17. How can you market a product and then switch what it delivers without notifying subscribers? I’m interested in Indian and slave records, not military. It was great when you were adding records from the Dawes Commission and state archives. This new direction is a big disappointment. I haven’t been able to get onto the site for two days now, and I have to say that I’m extremely disappointed that the site would just change its name and focus without so much as a word to loyal subscribers. My subscription is coming due, and it’s tempting to cancel but I really need access to the city directories. I’m writing a book and Footnote.com was a tremendous help. I had cited its databases frequently in my (ahem) footnotes. Now I suppose I have to go back through my manuscript and change everything to Fold3. No disrespect to our veterans, whom I esteem very highly, but I think the new name is a poor choice. As some others on here have said, any time you have to explain the meaning of your name, you can be sure it’s a poor choice. I doubt we’ll ever get the old Footnote.com back but please, please listen to the many disappointed customers and at least consider it. There’s absolutely no reason you couldn’t have continued to add military content to Footnote.com and by doing so you could have accomplished your goal to be the best military genealogical site while still retaining a name most genealogists recognize and respect. Anyone out there find out why & how to solvw the problems some are having accessing the new site? I have been unable to do any research for the past (3) days because I am only able to access this Fold3 blog page. I continue to receive e-mails regarding new content added to South Carolina Estate Inventories and Bills of Sale, 1732-1872, but cannot find it! I am devastated to have lost this extremely important research resource. I don’t believe that it would be asking too much to have a honest, frank disclosure posted under an Update topic on this page regarding the numerous accessibility problems which I find posted here. Are we up and functioning, or not? I can find no other way to contact Fold3 staff: your ‘let us know’ link is also broken. I am disappointed to note the change in focus. I hope that all the newspaper items previously available will still be offered. I too would like to know more about the renamed database and the partnership with the National Archives. As I recall, part of the agreement was that a record set would be made free five years after completion of digitization. Have others noticed that some record sets, for example, the Bureau of Investigation records, have been at 98 percent completion for years? Is Footnote/Fold3 taking advantage of a loophole in the agreement? That is, if digitization of the record set never reaches completion, the set will never become free. I look forward to an explanation. I can find no definitive answer to whether any non-military content will be added, or whether uncompleted databases will ever be completed. I research military records, but they are a small part of my search efforts. I, too, am disappointed in this change, so voting with my pocketbook, I changed my automatic re-subscription setting and will end my subscription when it runs out. I found a lot of information on footnote and I am very sad to see it disappear. Okay … so now the “new” site comes up but I cannot log in. I am VERY frustrated. I’m also not to too fond of the name change, but fortunately TMG allows me to make one change to the source table that will correct all my entries. The real reason for my comment is to openly wonder about the digitization project that Footnote has or had with the Allen County (Indiana) Public Library genealogical section. This is one of the largest (if not the largest) collections at a public library in the United States. I do not care for this new site. It is more difficult to locate files. I can no longer download images when I do find them. Something in the site will not allow me to assign a ‘file type’, therefore making a download useless. Was that an improvement? I think not. My sincere thanks. The fix works beautifully. I can not log in. So, will you ever complete 100% of Confederate Citizens and Business firms files? (Been waiting for five years for that) Will you ever complete Confederate or Union Compiled Service records? Or will you just continue to provide complete collections of somethings and partials of others. Change of brand along the way leaves a researcher like me (who subscribed because Footnote provided access to the National Archives collections and signed up for three years in faith of that mission) feeling a little uneasy. I will watch and wait. Too bad you bought into it. You could have had a much nicer and more recognizable name for your collection. C’mon, Peter, I didn’t see your answer to any of these questions. I had to upgrade to IE9 to get Fold3 to work. The new name sounds like a poker site to me. I buy tons of books and many times it is just for the footnotes and bibliography. I thought that as a researcher “Footnote” was the coolest name for a historical based website such as this. I guess they didn’t. Still miffed that no notice was given to subscribers. I can no longer get Revolutionary War records or pension records to download. If this can’t be fixed please cancel my subscription. I am very disappointed in this change. Not happy, will not renew. I love military records, but other info is necessary also. Incredibly unprofessional to wrangle customers in to buy your product, and then, without any indication (except to say that newer, and larger servers, were being introduced)e change the whole direction of your website. I quickly perused the collections to make sure the city directories and other areas of my own interest remained. They are present, but what about additional resources in the future for those whose interests lay outside military collections? I think it was a bad move. No survey or inclusion of your existing customers and at this moment I don’t see myself renewing. As someone stated above, I would change the existing settings of your account from auto-renew to avoid paying for a product you didn’t buy before its next cycle. My understanding is that footnote.com was intened to be a public-private partnership to digitize Federal records and make them available to the public. I did not know that the focus was ever intended to be limited to military records. That’s such a disappointment and I’m subscribed through 2013!!! The new name sounds rather like a marketing gimmick to create an on-line “buzz”. work’s better in future. Really slow now. Please correct and help with this change. WOW that was quick fix. Works better with downloads. Thank you and hope to see change back with renewal as offered by ancestry.com 39.95. For customers will you offer anything on Black Friday in Nov 2011 as you have in past. This may really help in the times of no $$$ now. I subscribed for the Naturalization Records. if you only focus on military records. I do not care for this change, not one bit. The only reason I subscribed to Footnote in the first place was because it provided access to the newspapers and city directories that were difficult to find elsewhere. Now, theonly change I see is that the content I wanted is all gone; and, I really do not find it to have any more military records than were available previously. Bad move folks. Had to really dig through the new site to actually find the directories and newspapers. Looks like it’s still here, but this new site is not user friendly (unless you want military records). I’ve decided to turn off the auto-renew, and will just let my subscription run out. I discovered that the Windows 7 machine with Internet Explorer had incompatibility issues with pdf. files and printing pages from websites. I switched to Firefox for my browser an everything is compatible! Like many others, I’m disappointed at this turn. Only a tiny fraction of my research involves military records, so I won’t be renewing my subscription. Small loss; while I’ve gotten some great information, the interface is so clunky and annoying that I’ve avoided coming here. So the real upshot of this change is that Ancestry.com will begin to de-emphasize adding military collections and fold3.com will henceforward add only military collections. Therefore if you want both general family history and military you’ll have two purchase a subscription to both Ancestry.com and fold3.com. I am not pleased at all and will not be renewing my subscription. I have subscribed for three years. Will you be offering a partial refund if I cancel now, as this is not what I paid for. The navigation was always a little cumbersome, but it is now almost impossible. I tried to access a Texas death certificate, could not find where I could search by name, and the site kicked me out multiple times. I really would like my money back. I am very UNHAPPY with the TOTAL FOCUS of fold3.com on military records!!! While I appreciate and have benefited from the military records on the old Footnote.com site, I, also, found a great deal of info in their non-military records that I had never found before. If they continue to focus on military, with the exclusion of all other material, I will not renew my membership when it comes due!!! AS reorded, I took extended time for Footnote, and instead of what appeared to be easiness of obtaining information, there is little that I am able to get at this time. That is sad, and proves that when you pay for something, great chances one’s money is spent but the hoped for results will not be forthcoming. Will the access to information ever icrease to our benefit. Once footnote seemingly were woorking on the various wars, I tried checking my great grandfather’s activities in the Mexican War, when he served 1846 -1847, mustered out in New Orleans, having entering the 1st Ohio Infantry (Volunteers) at Camp Washington, Ohio. I locate nothing on what was Footnote. I look forward to the focused expansion of military service related records. I just tested all the files I normally use, including downloads, and received perfect results. I thought you might wish some positive feedback, as warranted. I only use footnote.com to search for military records for the most part so this new direction won’t interfere with my research, but I do feel sorry for those who use this site for other record searches. This should have been announced some time ago and should have been revealed to those who have signed up since this new direction was being planned before they signed up. My only complaint personally is that when I open a document to view it, the page freezes and I can only see a small portion of the document. This has to be fixed or I will also be bailing out. WHY THE CHANGE – I can’t see that anyone was seeking a military history site. 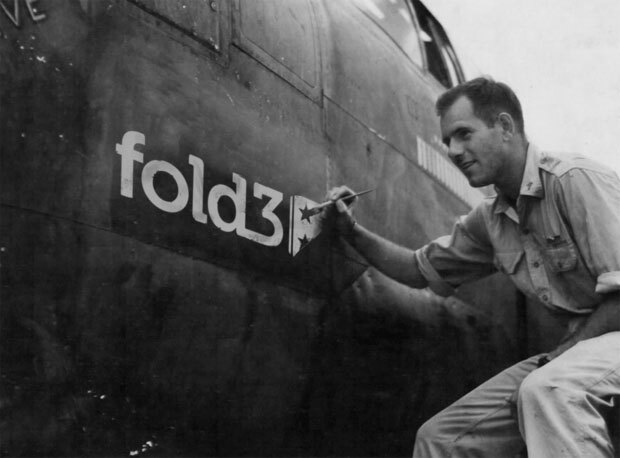 And as a Viet Nam Veteran – I’m not a fan of the casual use of the Fold 3 term. Can nothing be reserved or saved for ONLY those who served. Shame on you for making common a name so cherished by the men and women in uniform. Find a NEW NAME. What about CCC records? This question has been asked several times and to date, no-one (0) thats ZERO have responeded.